The issue has been examined. Since July 1, 2012, service tax has shifted to a negative list regime, by which all the services except those covered in negative list as mentioned in section 66D of the Finance Act, 1994 or those exempted by notification are chargeable to service tax. 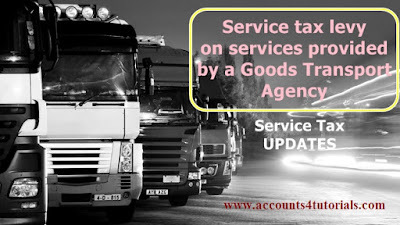 Goods Transport Agency (GTA) has been defined to mean any person who provides service to a person in relation to transport of goods by road and issues consignment note, by whatever name called. The service provided is a composite service which may include various ancillary services such as loading/ unloading, packing/unpacking, transshipment, temporary storage etc., which are provided in the course of transportation of goods by road. These ancillary services may be provided by GTA himself or may be sub-contracted by the GTA. 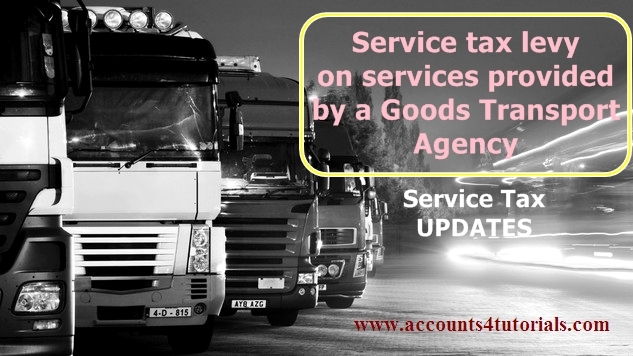 In either case, for the service provided, GTA issues a consignment note and the invoice issued by the GTA for providing the said service includes the value of ancillary services provided in the course of transportation of goods by road. These services are not provided as independent activities but are the means for successful provision of the principal service, namely, the transportation of goods by road. A single composite service need not be broken into its components and considered as constituting separate services, if it is provided as such in the ordinary course of business. Thus, a composite service, even if it consists of more than one service, should be treated as a single service based on the main or principal service. While taking a view, both the form and substance of the transaction are to be taken into account. The guiding principle is to identify the essential features of the transaction. The interpretation of specified descriptions of services in such cases shall be based on the principle of interpretation enumerated in section 66 F of the Finance Act, 1994. Thus, if ancillary services are provided in the course of transportation of goods by road and the charges for such services are included in the invoice issued by the GTA, and not by any other person, such services would form part of GTA service and, therefore, the abatement of 70%, presently applicable to GTA service, would be available on it. It is also clarified that transportation of goods by road by a GTA, in cases where GTA undertakes to reach/deliver the goods at destination within a stipulated time, should be considered as services of goods transport agency in relation to transportation of goods for the purpose of notification No. 26/2012-ST dated 20.06.2012, serial number 7, so long as (a) the entire transportation of goods is by road; and (b) the GTA issues a consignment note, by whatever name called. Pending disputes on the above issues may accordingly be decided expeditiously. Trade & field ﻿﻿formations may be informed suitably.